VIDAB is a record label based in Berlin that cares for electronic-dance-music. It was founded by Oliver Deutschmann and Stephan Hill as a platform to express their idea of timeless club music. 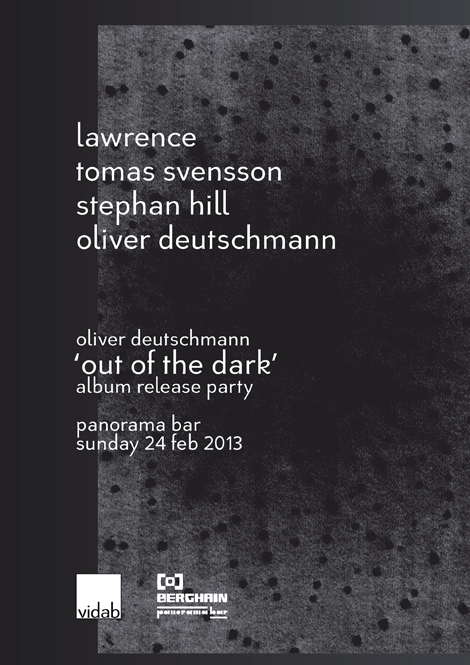 - Oliver Deutschmann kicks things off with the official 'out of the dark' album-release party at Panorama Bar on February 24th 2013. Line up for this party also include Dial label boss Lawrence, Tomas Svensson and Stephan Hill. The album tour will then run throughout the summer.